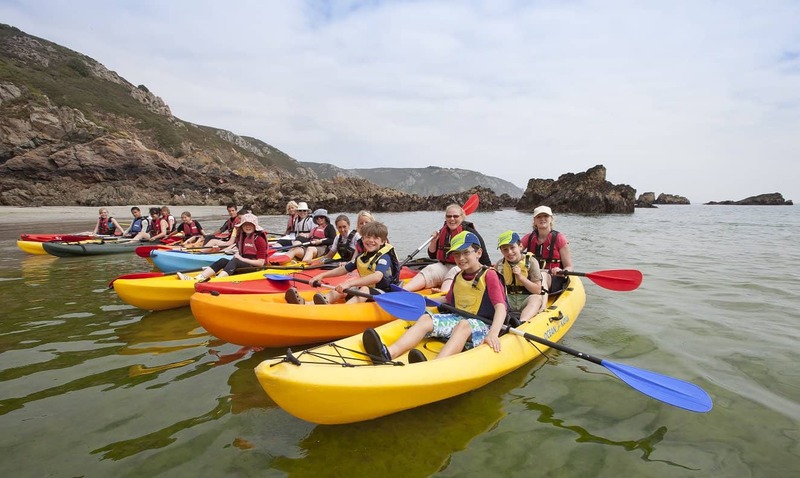 The south coast of Guernsey offers some great kayaking opportunities, if you’re feeling adventurous! The local coves are beautiful so you’ll get to see some serious sights while you’re having fun and getting fit. Immerse yourself in history by learning about the fascinating life of French poet, and author of Les Miserables, Victor Hugo. Exiled in Guernsey, he lived in Hauteville House, and you can learn all about him at exhibitions and events. There’s some fantastic food on offer in Guernsey from a variety of local eateries. Grab yourself a crab sandwich, locally sourced of course, at Moulin Huet in St Martin or enjoy fish and chips from the delicious Cobo’s at Cobo Bay. And that’s just for starters! If you’ve never tried stand-up paddle boarding before, now’s the time! Guernsey’s Vale is the perfect location for it and instructors are available to help you learn everything from the basics to yoga! Guernsey is the ideal location for some serious cycling and it’s the best way to see all the sights. The island has 11 different routes you can take, all with different grading according to ability and fitness. Check out some great deals on trips to Guernsey and take advantage of the discount code ‘DAYOUT2018’ by entering it at the checkout! Just don’t forget to read the terms and conditions before you start.